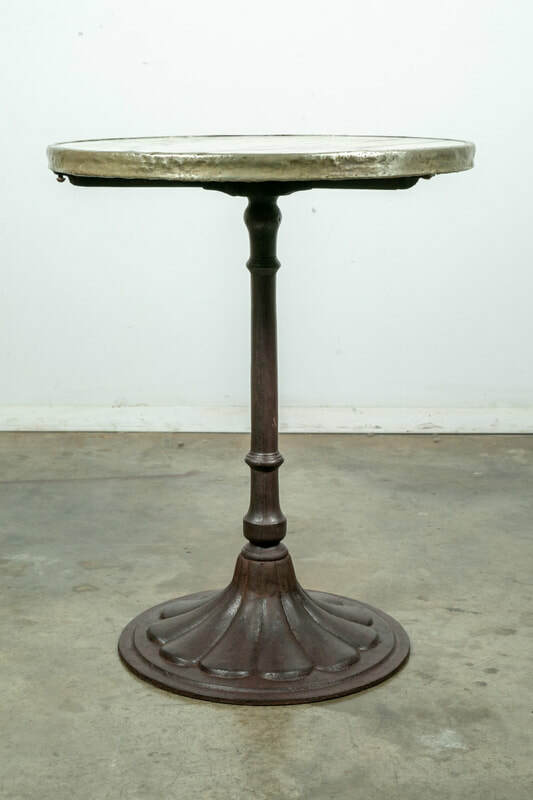 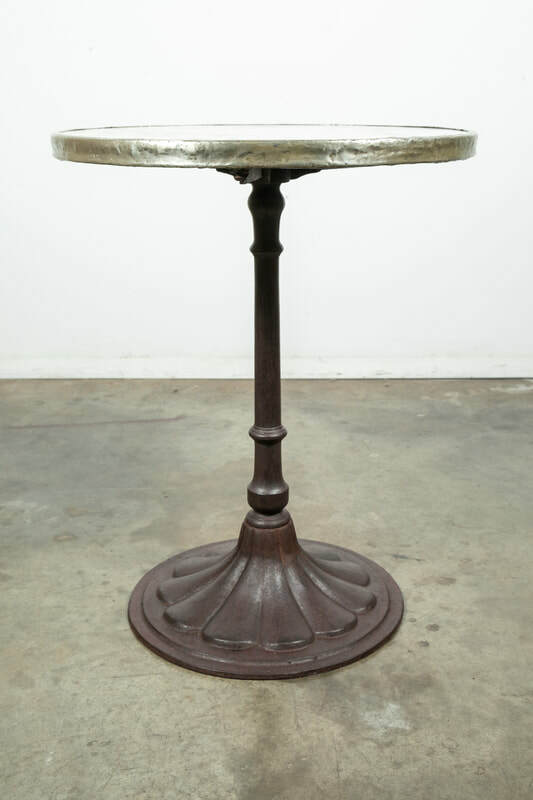 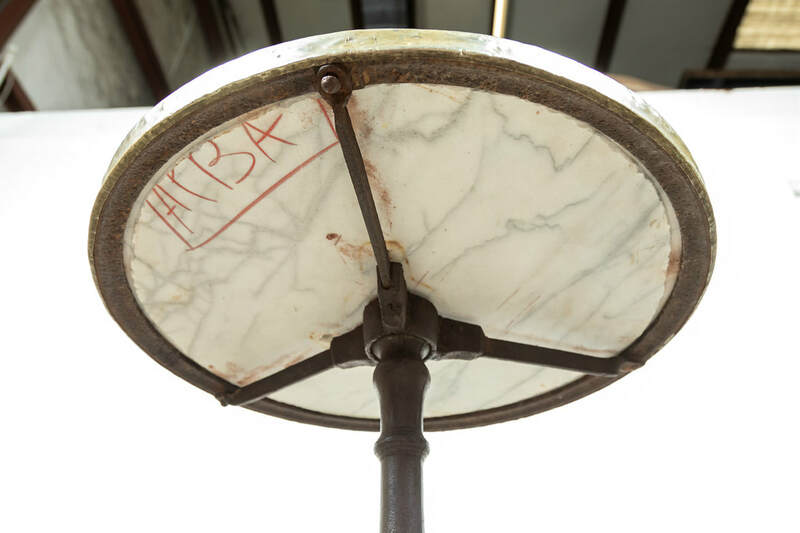 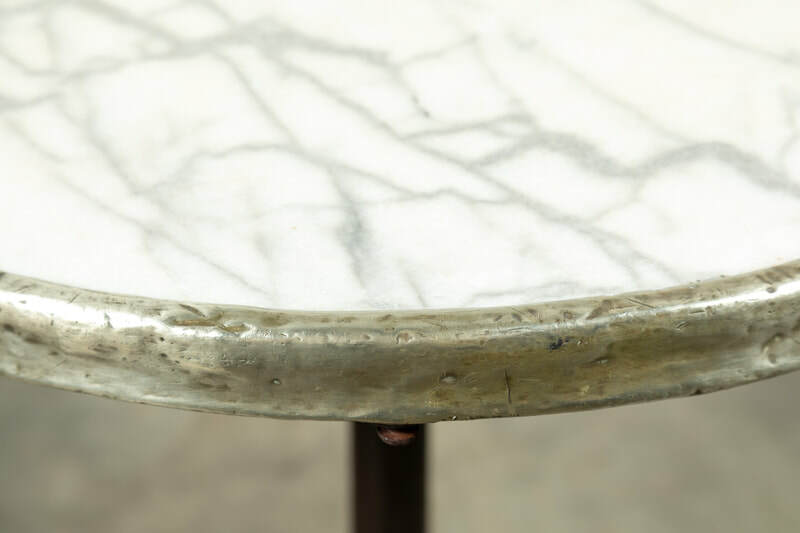 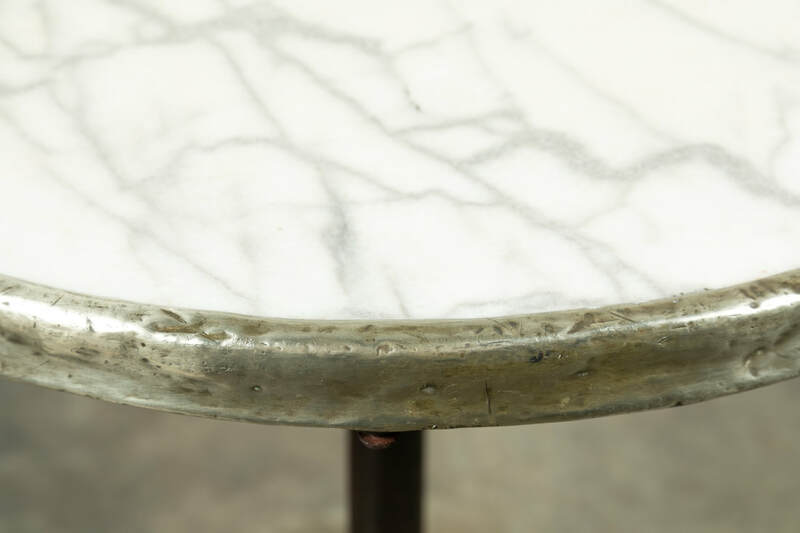 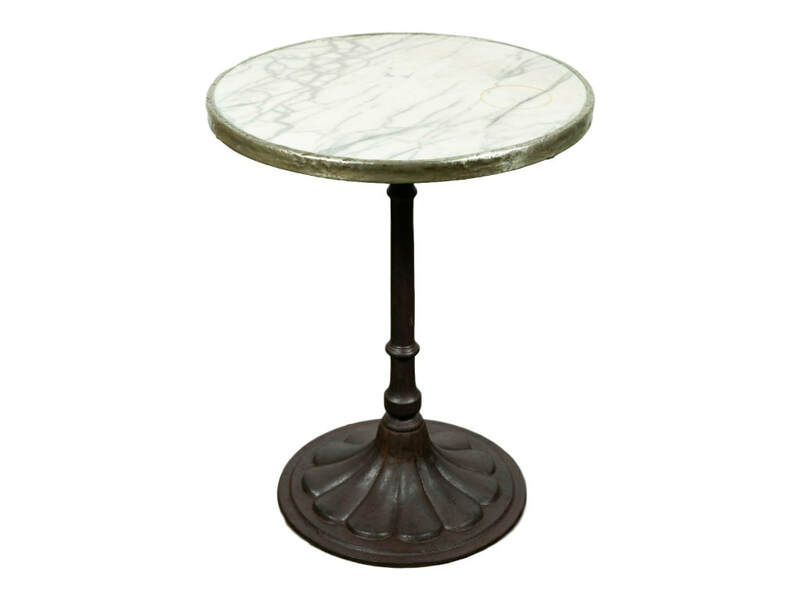 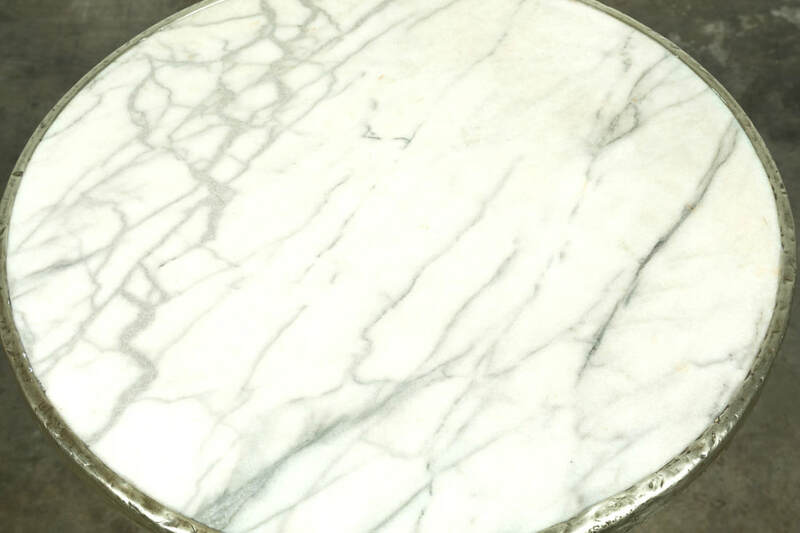 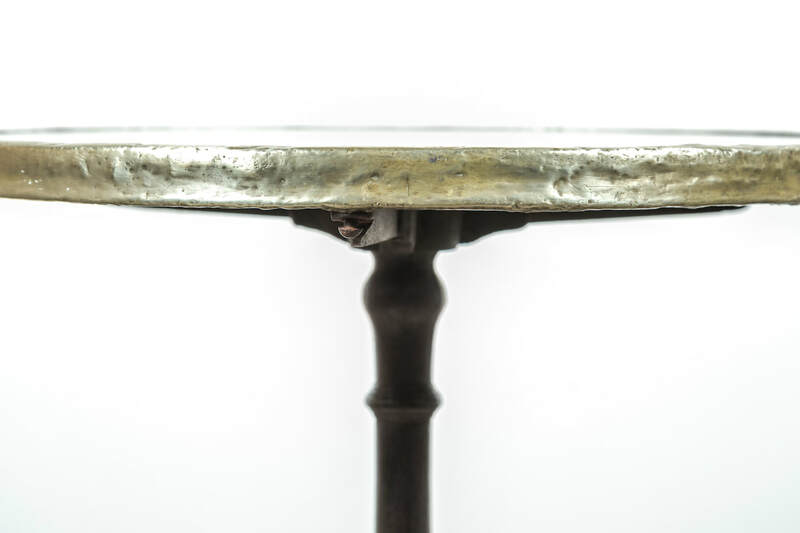 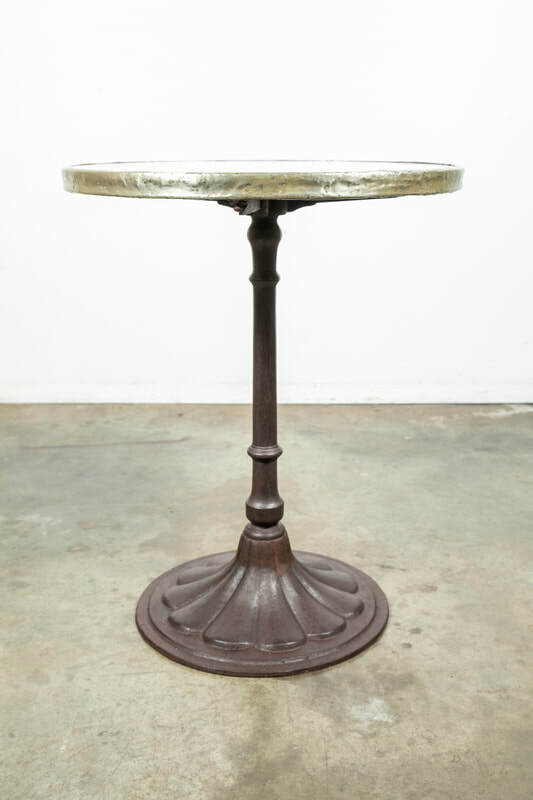 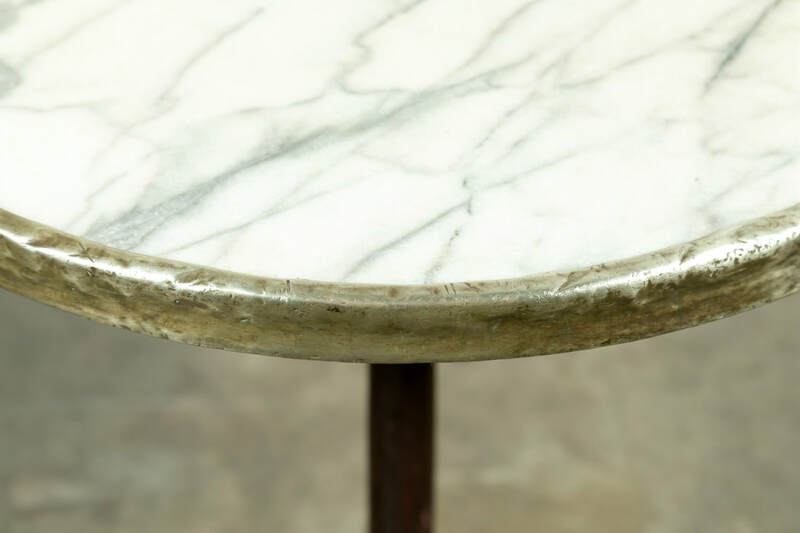 An early 20th century French cast iron Parisian Art Deco bistro table, having the original Carrara marble top with brass surround. 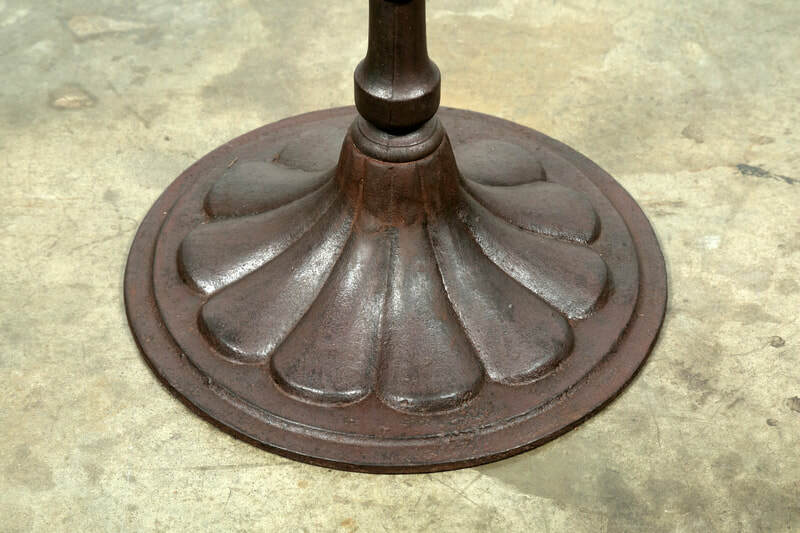 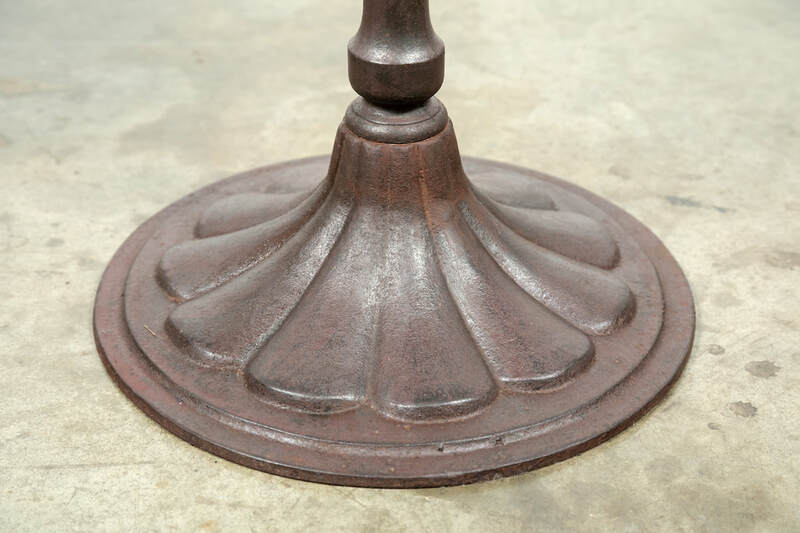 Raised on a rare tulip base with a lovely aged patina. 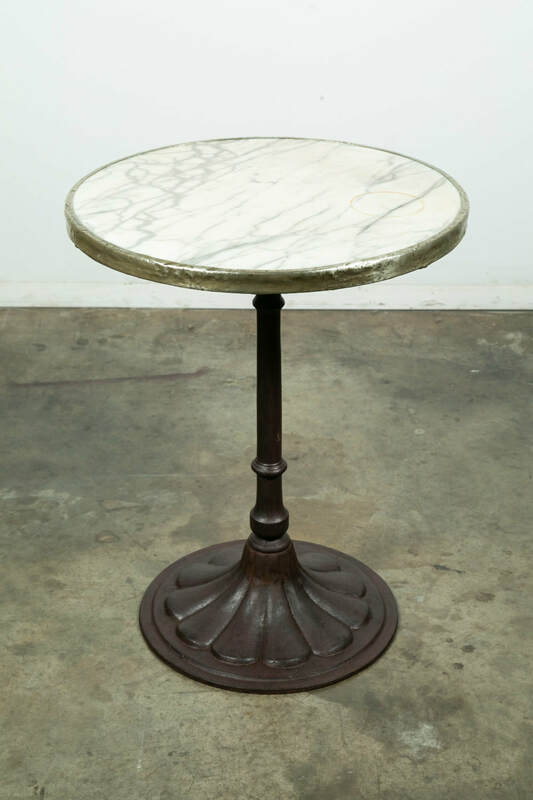 This table would be a wonderful garden or patio table, as well as a side table or dining table in a small space.